I work in many types of media, including water-color, oils, acrylics, pastels and mixed media. I paint on paper, canvas and non-traditional surfaces, including rocks and ordinary house windows (which are not so ordinary when they are completed). All of the artwork featured on this site is available for sale unless otherwise indicated by the notations [GIFTED], [SOLD] or [NOT AVAILABLE]. Prices are negotiable and will not appear on this site. The one exception is the window artwork. All window artwork starts at $200. The reason for this? There’s an incredible amount of prep work and finish work required. The beauty of windows is that they are different, they do not require framing since they come with a built-in frame, and are supplied ready to hang. If you are interested in any of the material on this site, contact me via email at dellavision.arts@gmail.com and let me know which piece you’re interested in by title. We can talk from there. The artwork is not framed. If you are interested in having it custom framed, I’ll be happy to work with you or you can simply frame it yourself. I’m happy to create custom art from your photographs or your imagination. 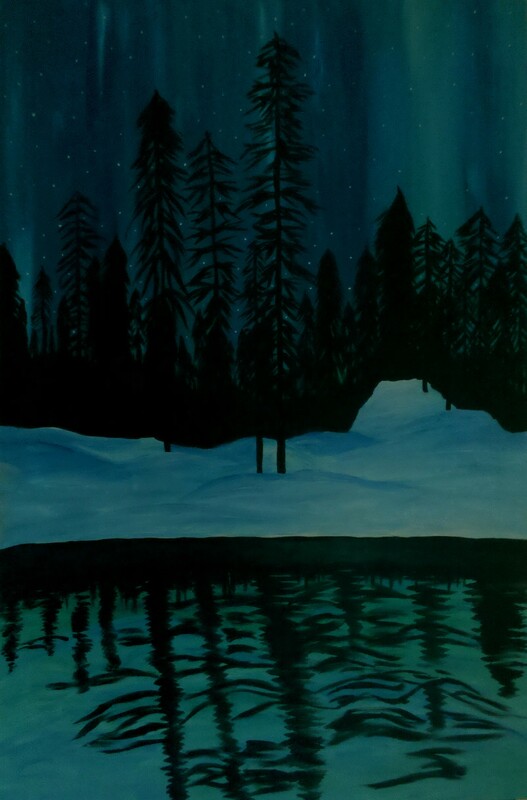 For example, Aurora Borealis 4 and 5 were painted in 18 x 36 canvas format after an art lover saw my pastel 9 x 12 Aurora Borealis series. Gallop was custom painted for a friend’s mother for Mother’s Day. Again, simply contact me via email. The site will be updated with new works on a regular basis. I appreciate your feedback. Thanks for taking a look.